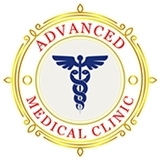 Advanced Medical, PA (Royal Palm Beach) - Book Appointment Online! Although the wait time was a little long, I really like both the doctors. They were caring and very thorough, which could be why the wait was a little long. They have a great bedside manner and really listen to your problems.